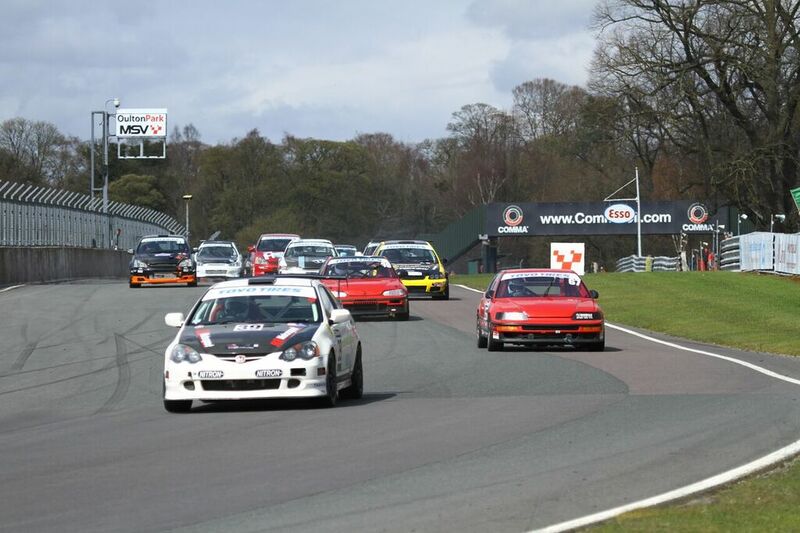 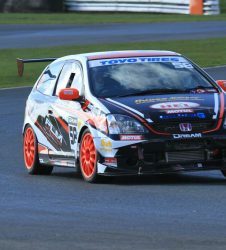 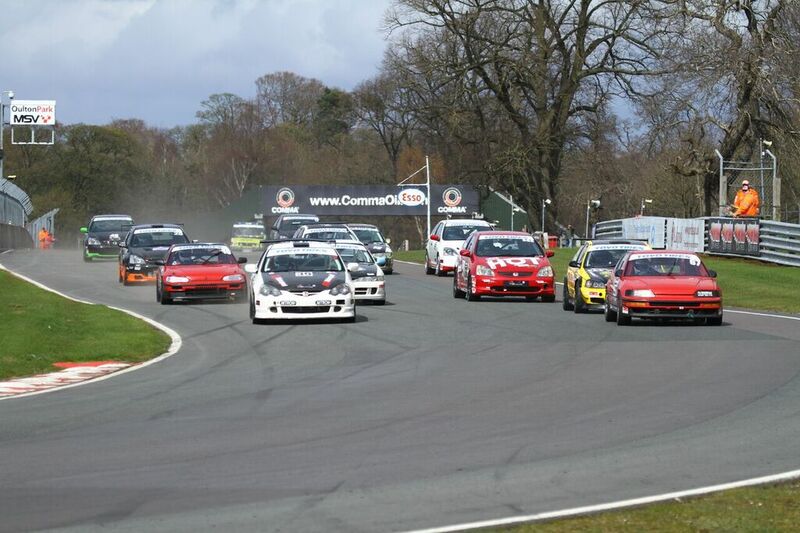 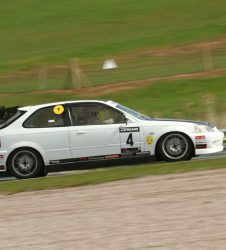 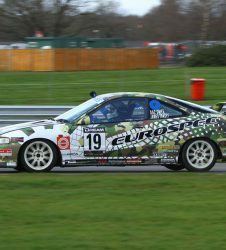 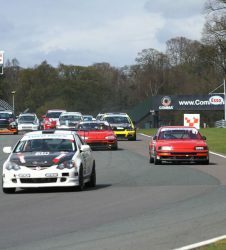 With the wait finally over, the 2016 Honda VTEC Challenge series got underway at the MSV circuit of Oulton Park on the 9th April. 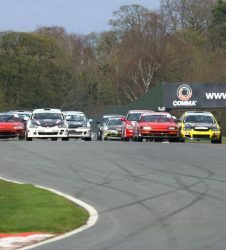 Running on the “Island” layout at the spectacular Cheshire based circuit, it has been 4 years since the series last raced here and judging by the entry list, it was a popular choice amongst the drivers. 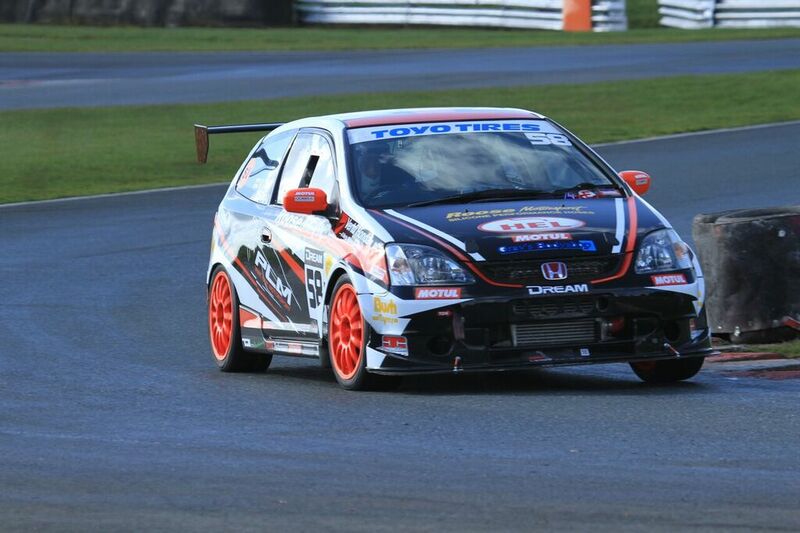 Following an intense qualifying session, on pole was the returning Rob Burkinshaw with his DC5 Integra. 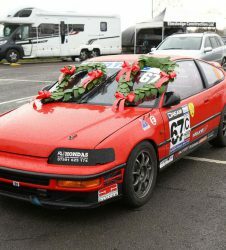 The rapid diminutive CRX of Peter Dixon secured 2nd place at his first event since going K20 and Peter Dixon in a near identical CRX took 3rd. 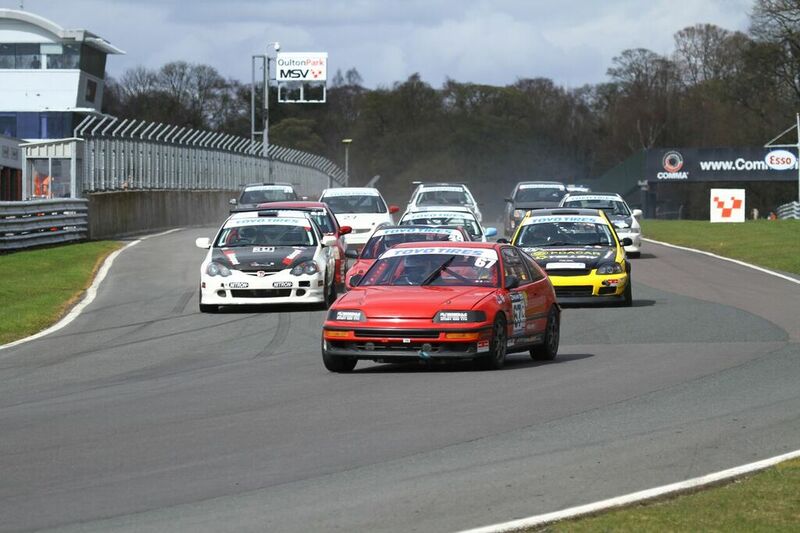 With half a second covering the top 4 cars and 9/1000ths of a second between 2nd and 3rd, the racing was shaping up to be epic! 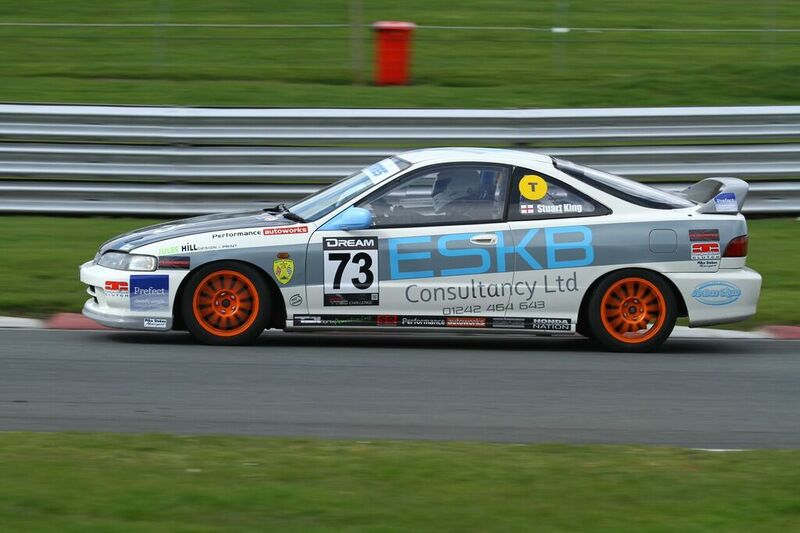 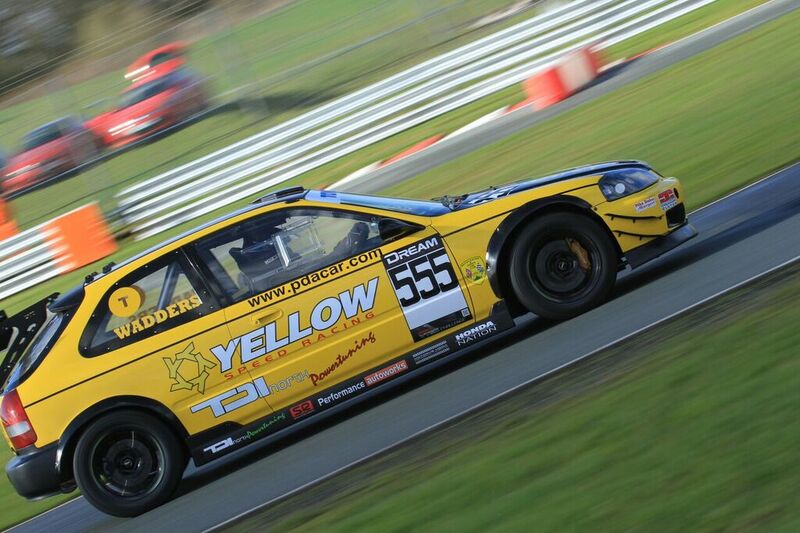 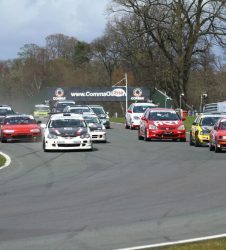 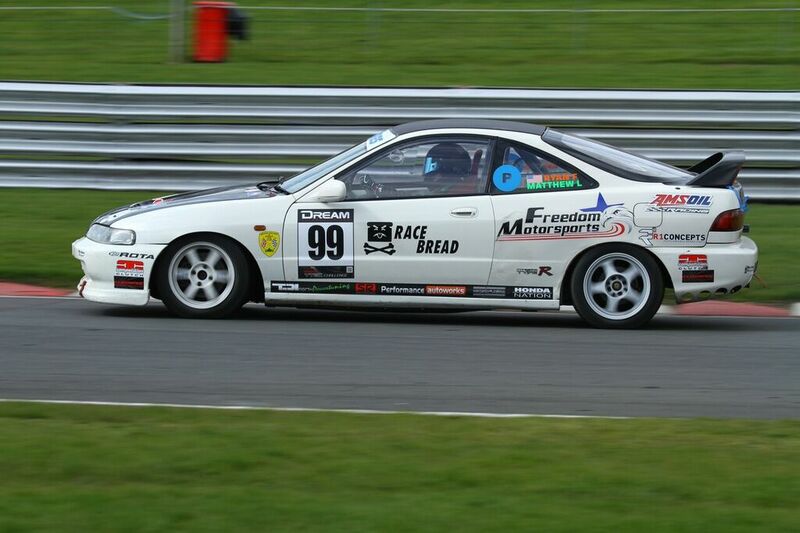 Burkinshaw held the lead as race 1 got underway, however an incident on turn one meant a red flag and a race restart. 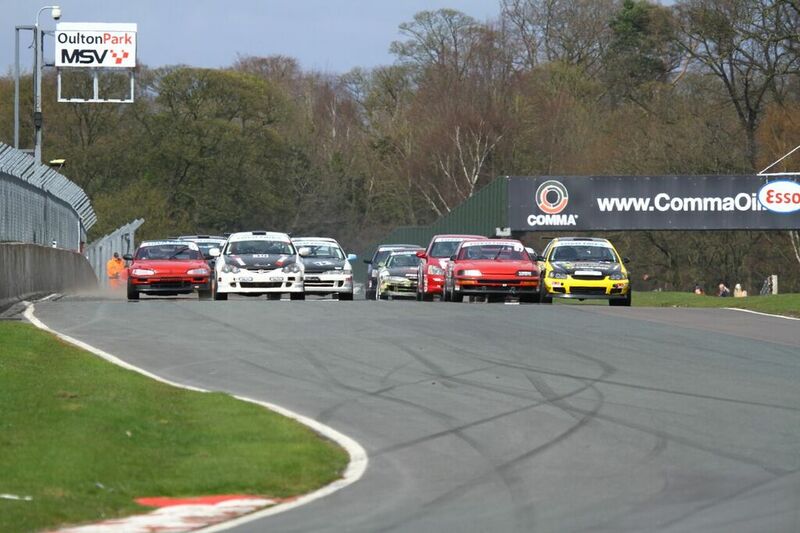 On the restart, Dixon and Cooper got the jump over Burkinshaw and led the pack from turn 1. 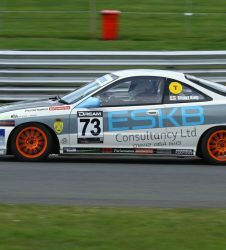 A mistake by Cooper led to Burkinshaw taking second place and the top three ran nose to tail for the whole 15 minute race! 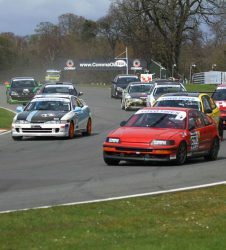 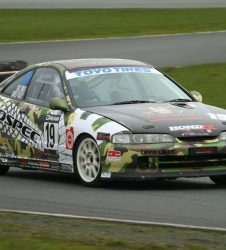 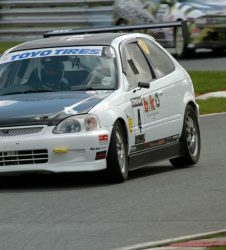 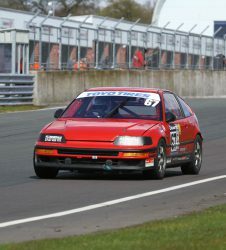 Paul Donkin led the “Production” charge in the TDI North prepared Civic and fought hard to stay in contention with new driver Paul Waddington in his K20 engined EK Civic. 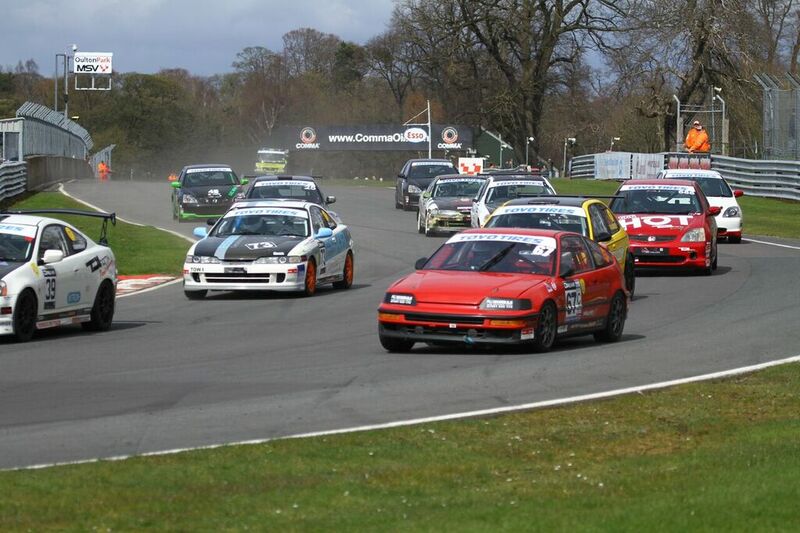 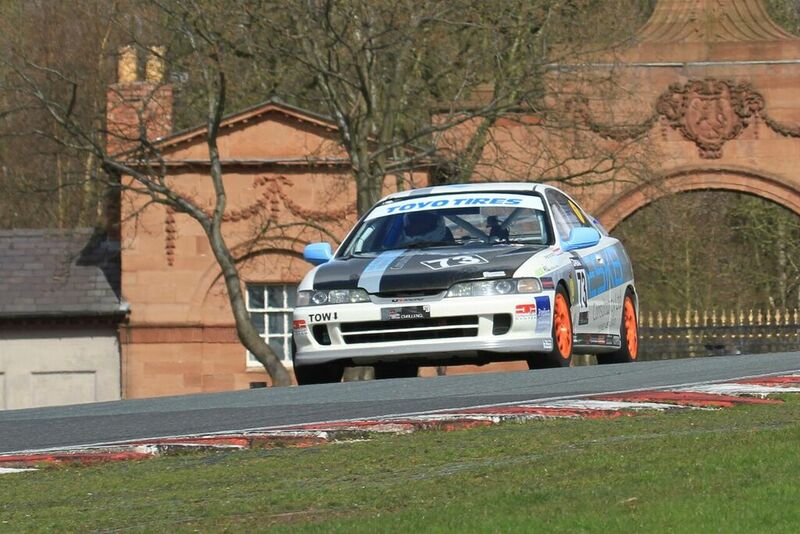 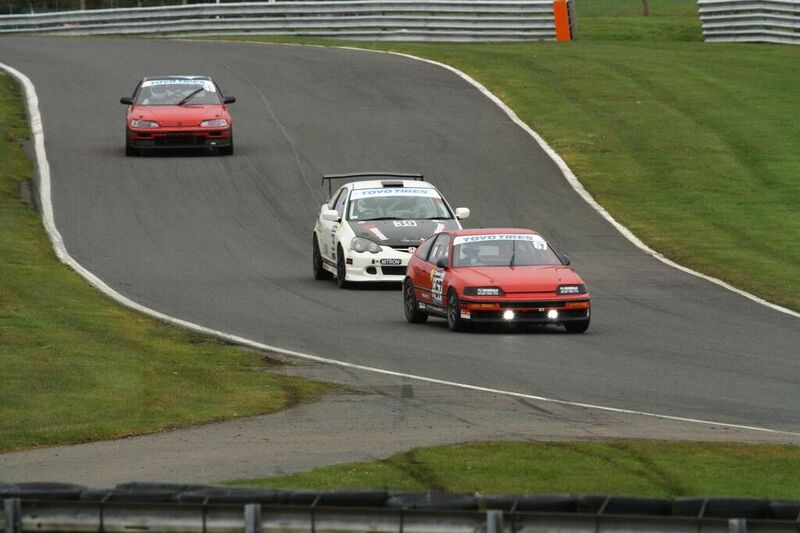 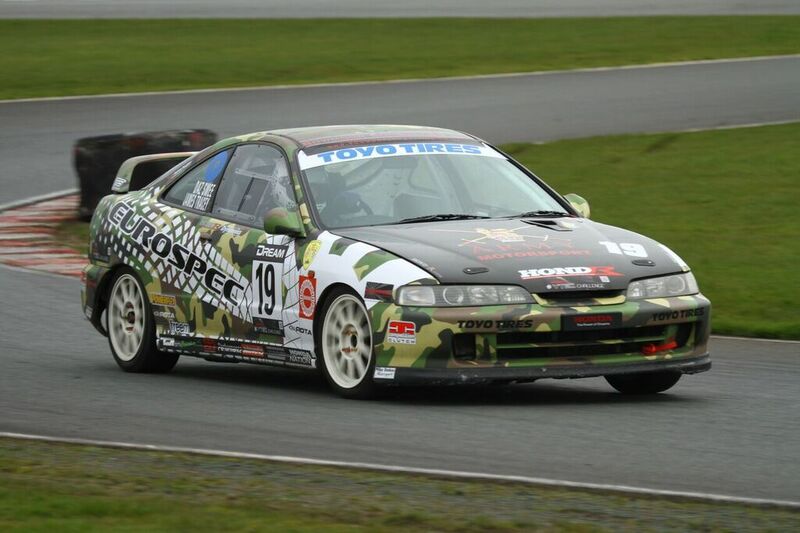 Stu King’s now H22 engined DC2 ran faultlessly in 6th, fending off a hard charging Matt Le in his DC2. 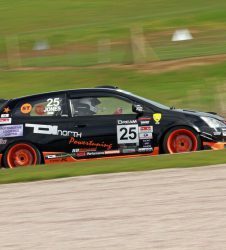 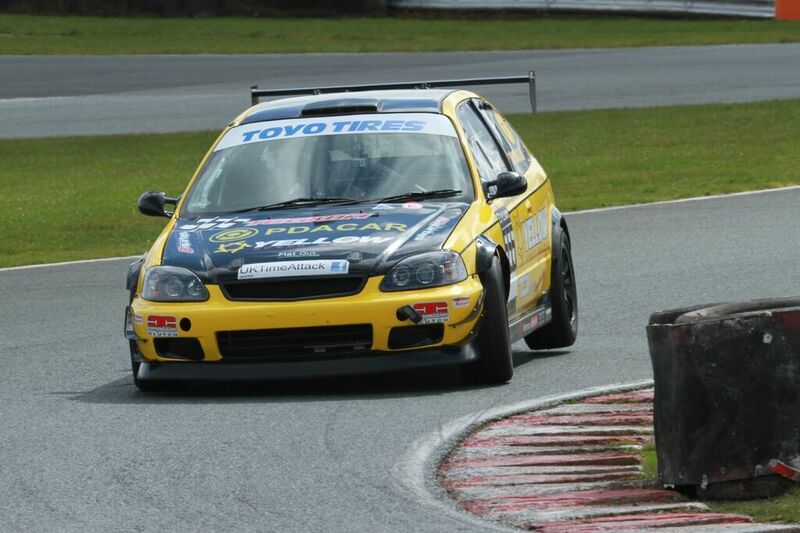 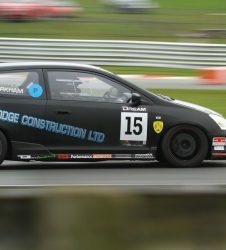 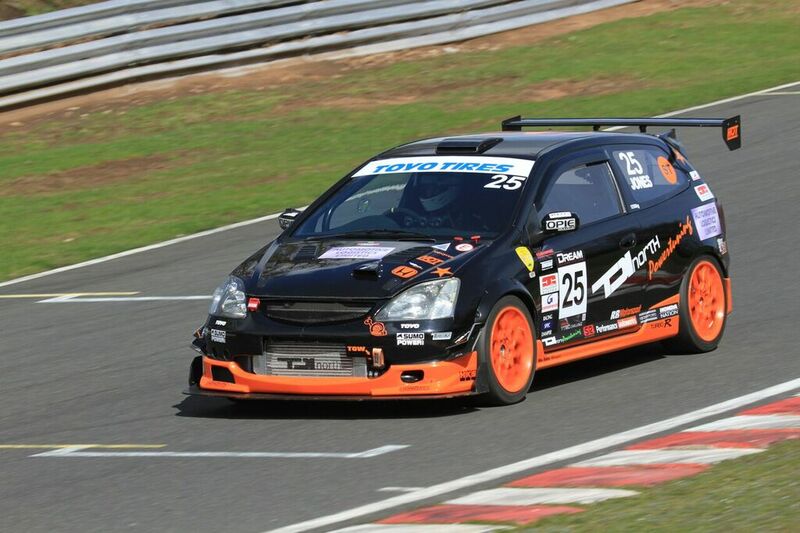 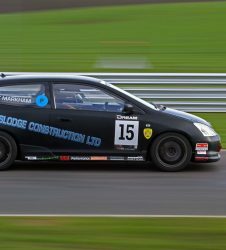 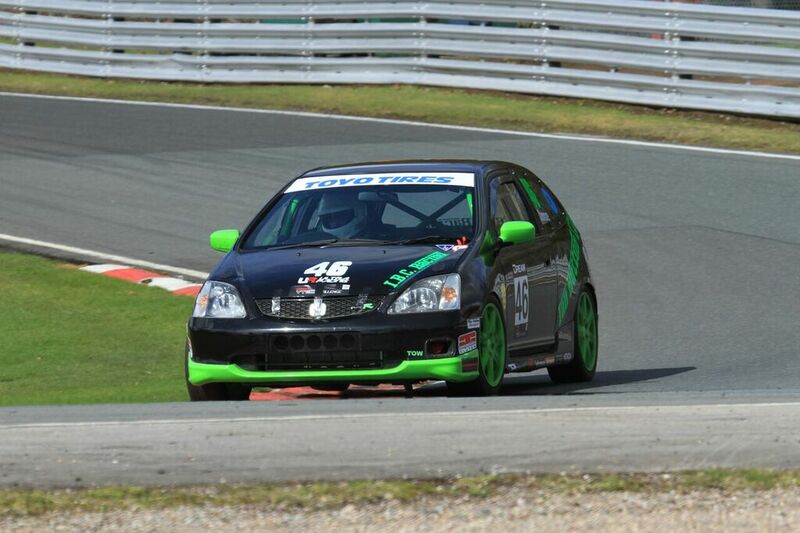 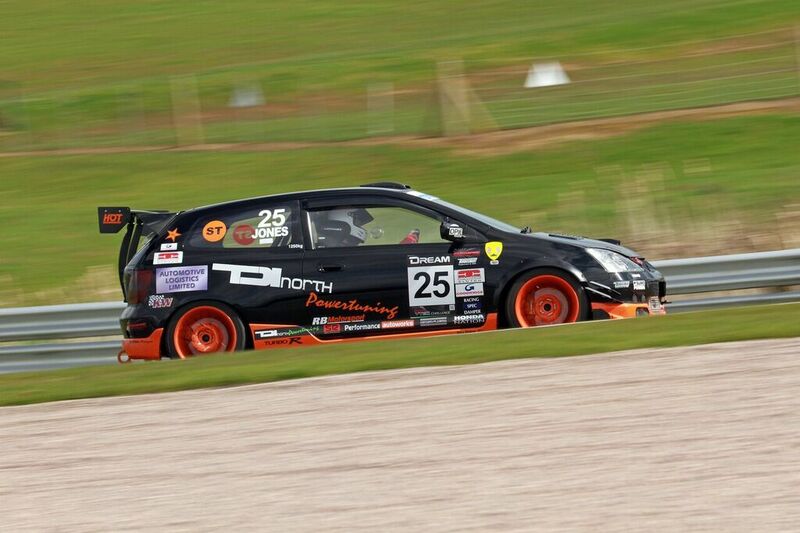 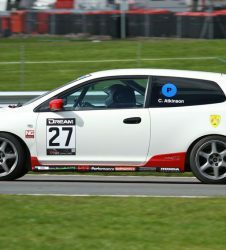 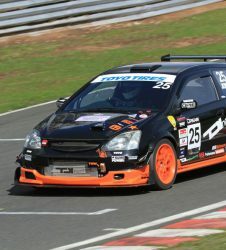 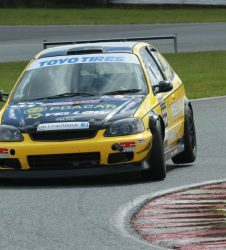 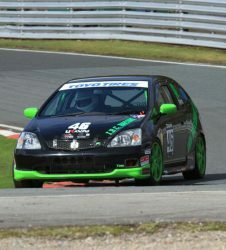 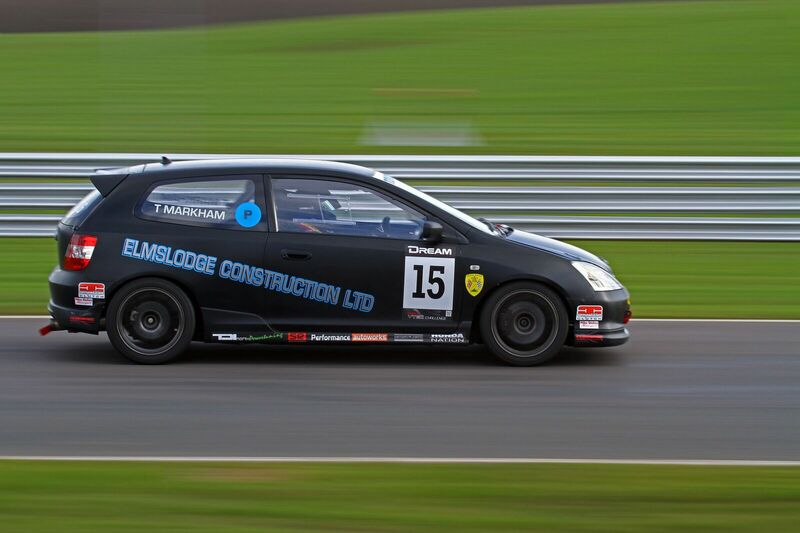 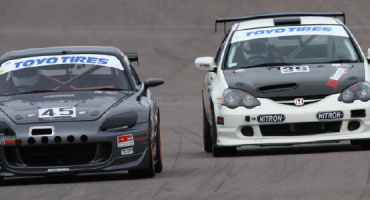 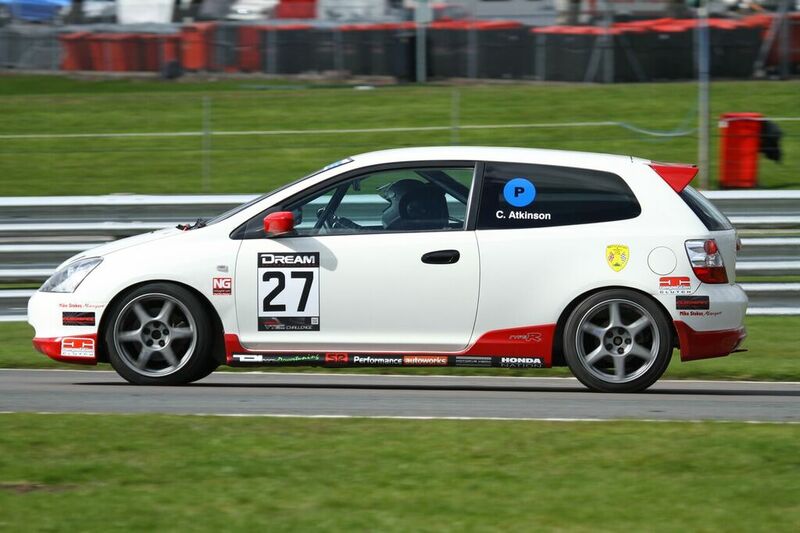 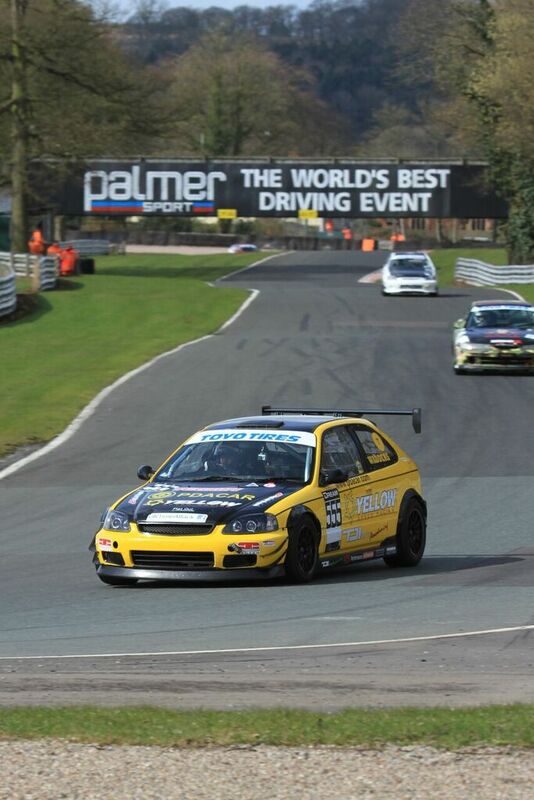 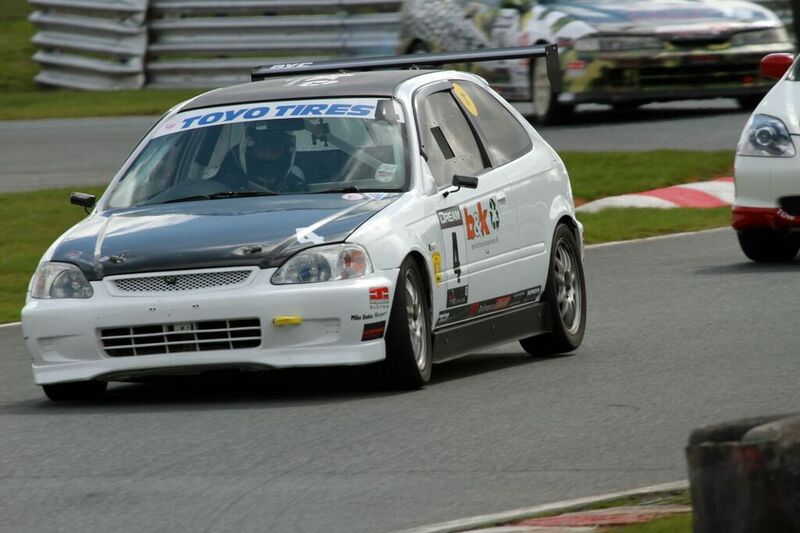 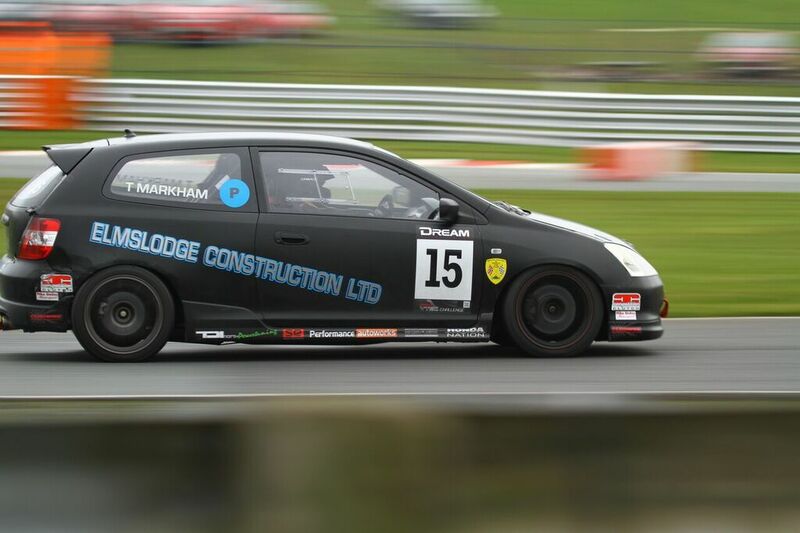 Taking part in his first race was Adam Jones in his Turbocharged EP3, but unfortunately a stripped 4th gear meant his progress was severely hampered. 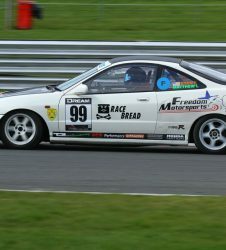 A three way battle for 3rd place in Production between James Tracey, Tony Markham and Chris Atkinson, saw the trio fight all the way to the chequered flag, but unfortunately brake failure for Atkinson meant he slipped back towards the end. 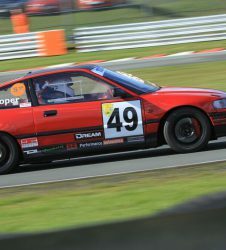 Race two saw the battle between Dixon, Burkinshaw and Cooper continue and off the line it was Burkinshaw who capitalised in the damp conditions and promptly pulled out a lead from Dixon, whilst Cooper dropped back to 5th and both Waddington and Donkin benefitted from Coopers misfortune. 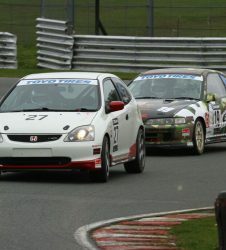 Donkin maintained his 3rd place ahead of the hard charging Waddington and Cooper, who was now on the bumper of the yellow EK Civic. 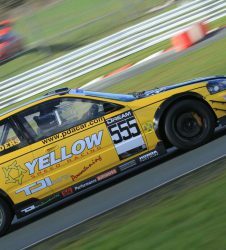 Burkinshaw continued to lead from the front, however soon came under pressure from Dixon who was beginning to close up. 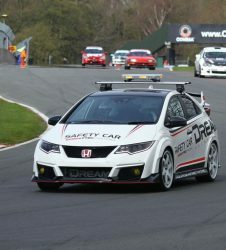 An error by Dixon gave Rob some breathing space, however nothing in racing is guaranteed and a stripped 4th gear saw Dixon take the lead and go on to his second race win of the weekend. 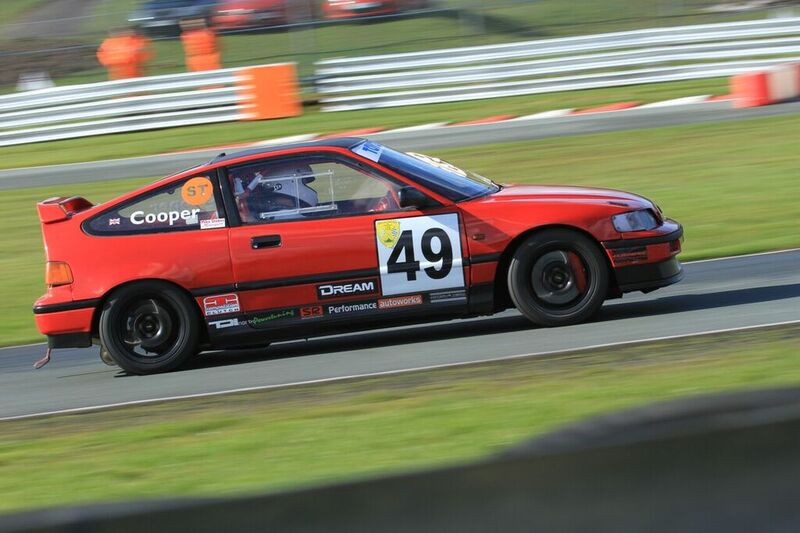 With Cooper now climbing back through the field, he was soon in 3rd place and chasing a “wounded” Burkinshaw. 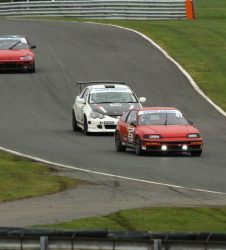 Despite doing all he was able, the Integra of Burkinshaw managed to maintain second by the smallest of margins as the pair crossed the line. 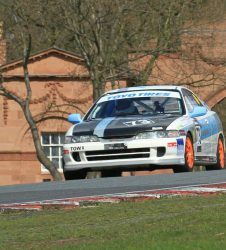 Unable to hold off the more powerful Civic, Donkin finally had to succeed to Waddington and settle into 5th place, whilst still keeping an eye out for King in the Integra. 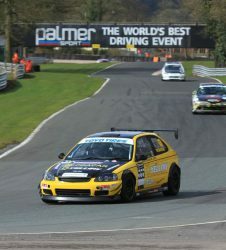 Class wins where awarded to Peter Dixon (Super Tuner) Rob Burkinshaw (Tuner) and Paul Donkin (Production) in both races. 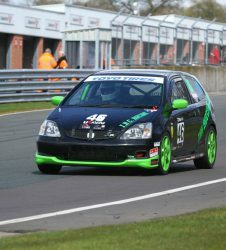 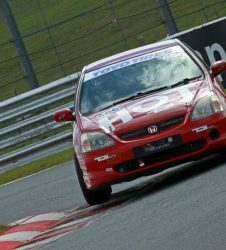 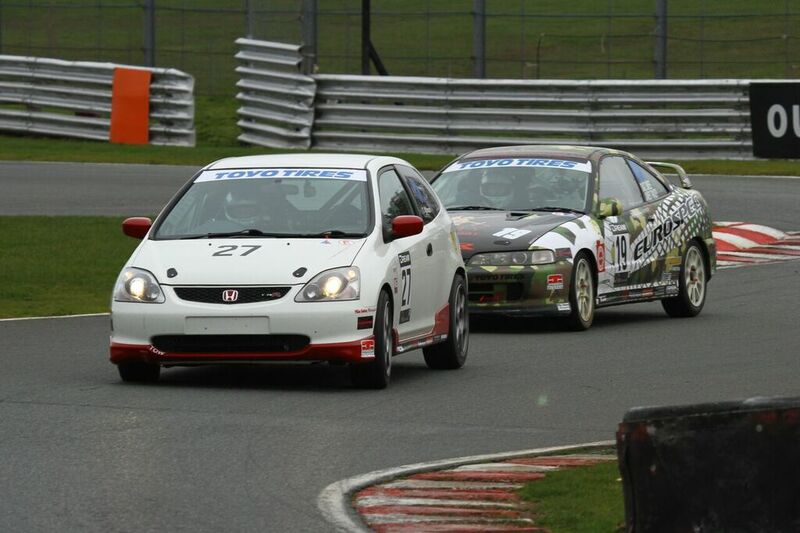 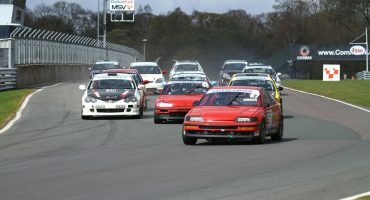 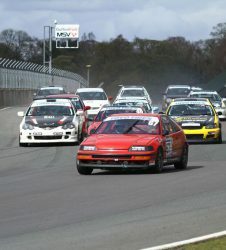 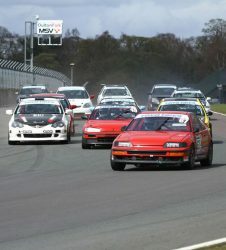 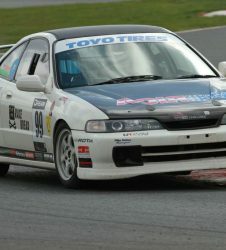 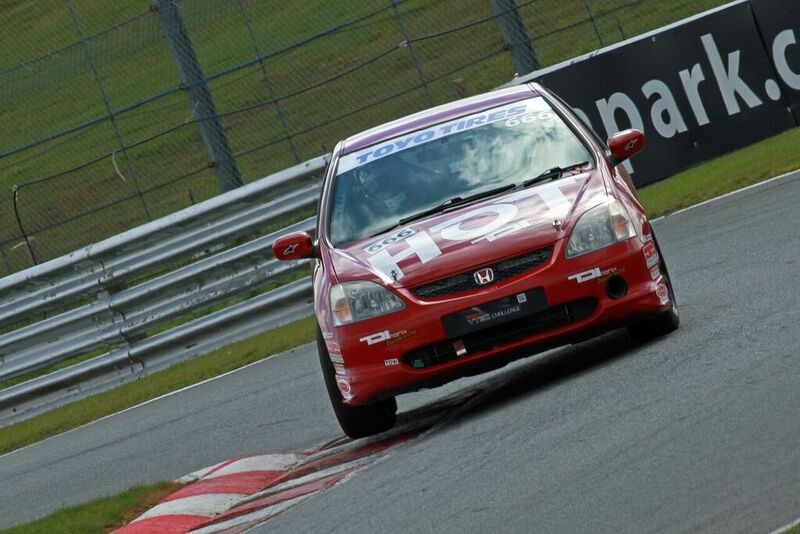 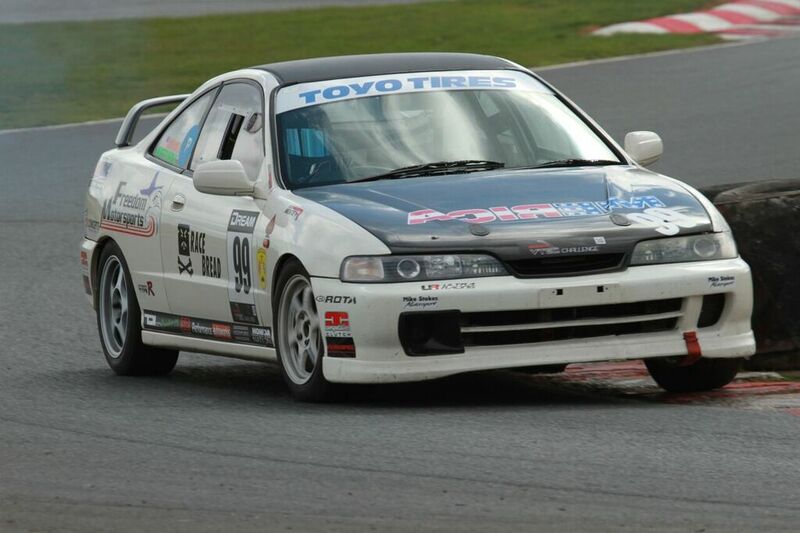 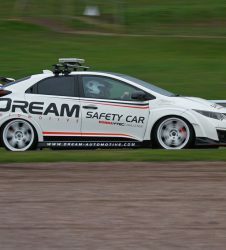 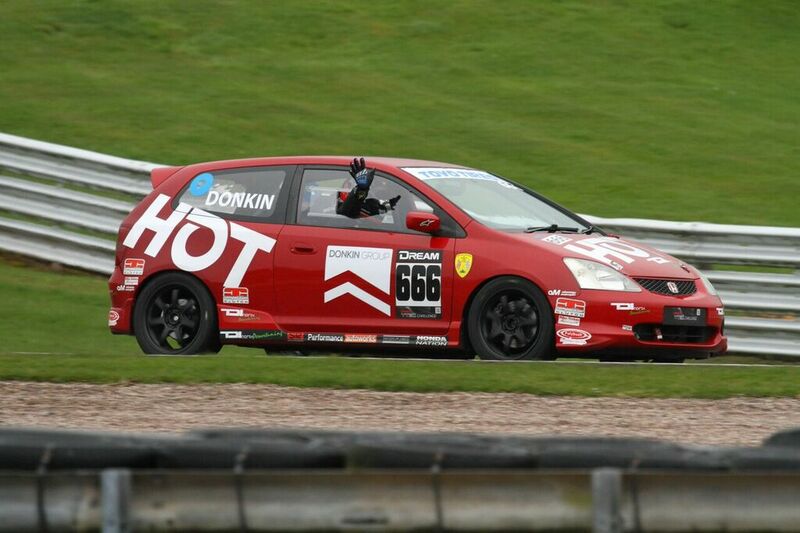 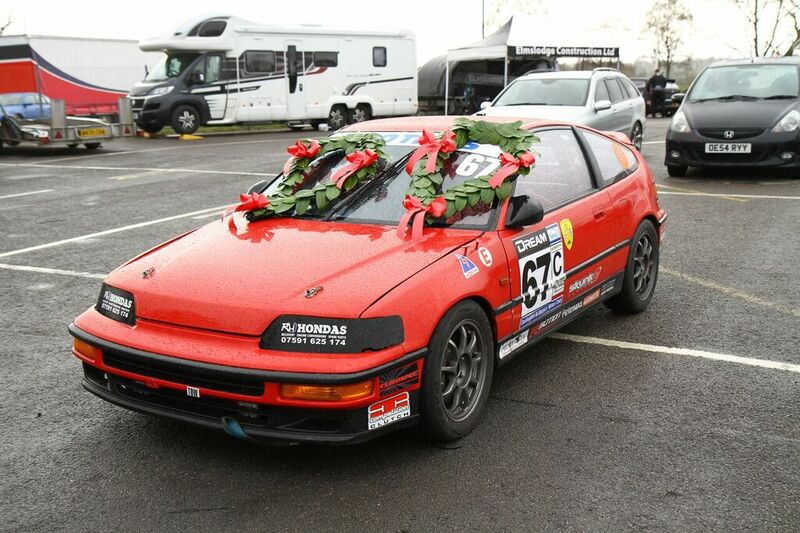 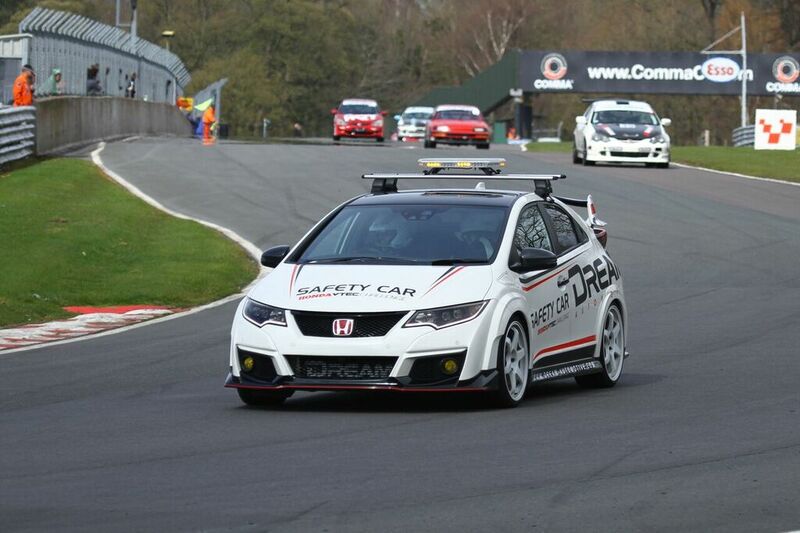 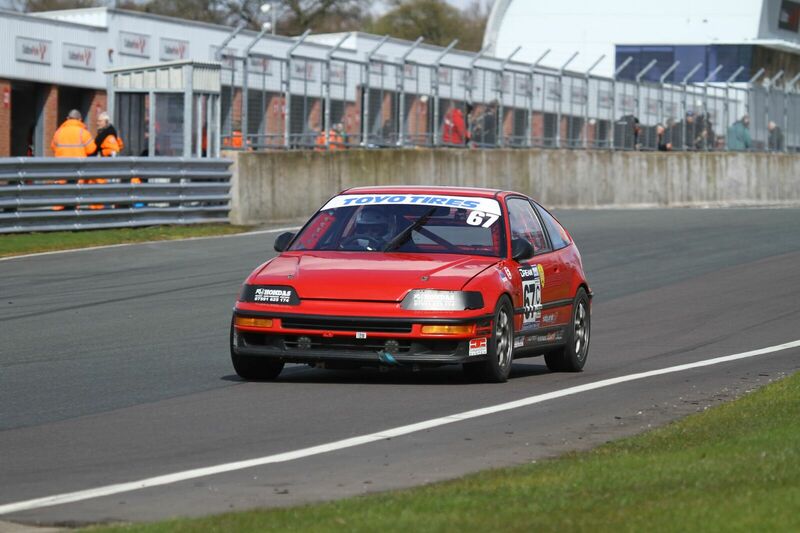 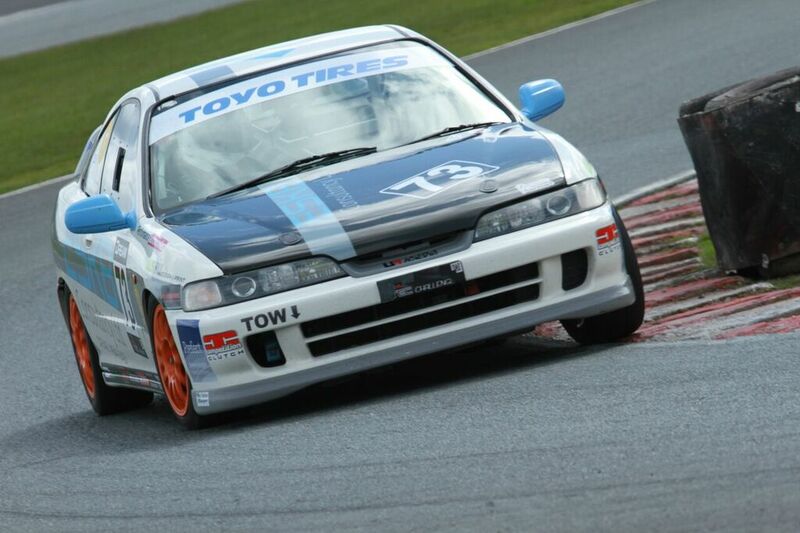 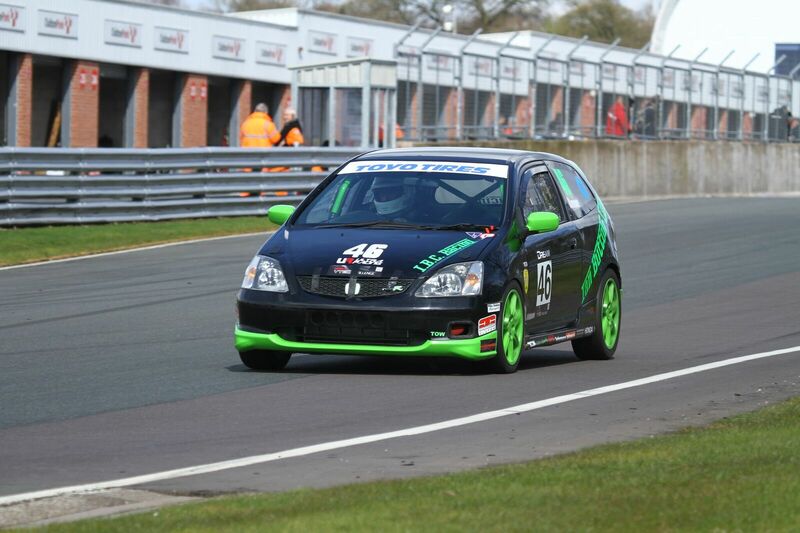 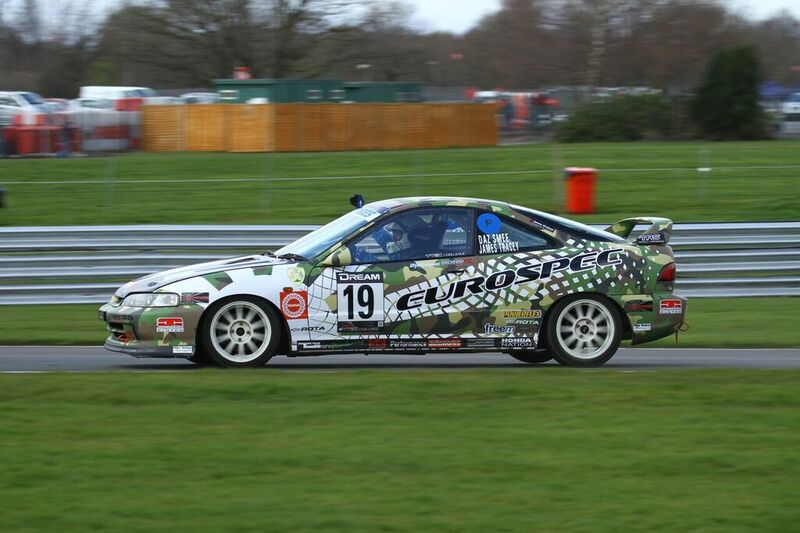 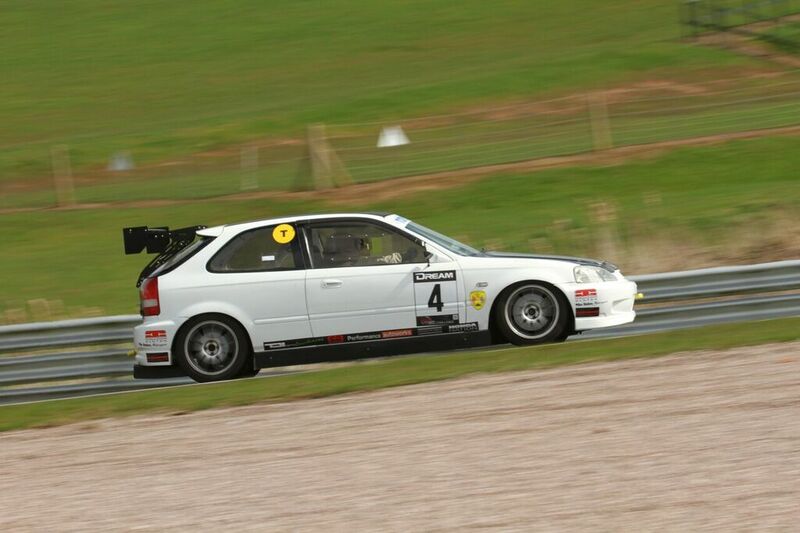 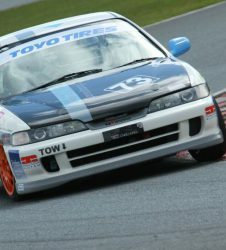 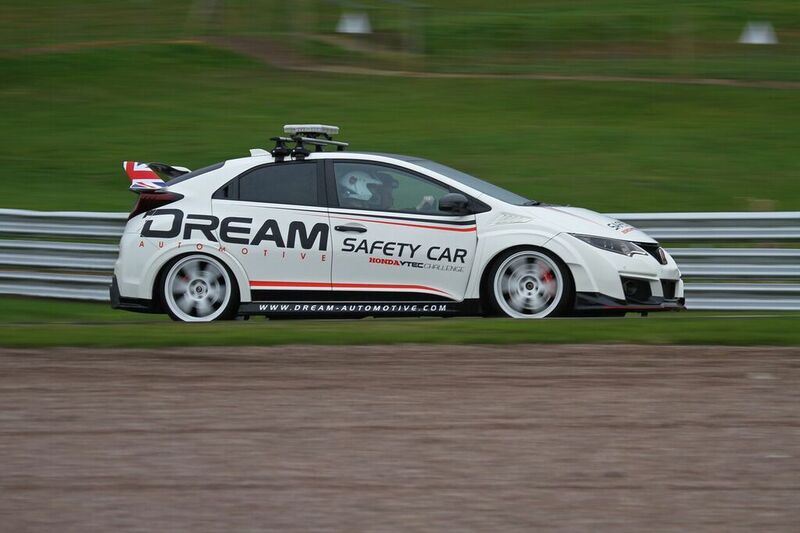 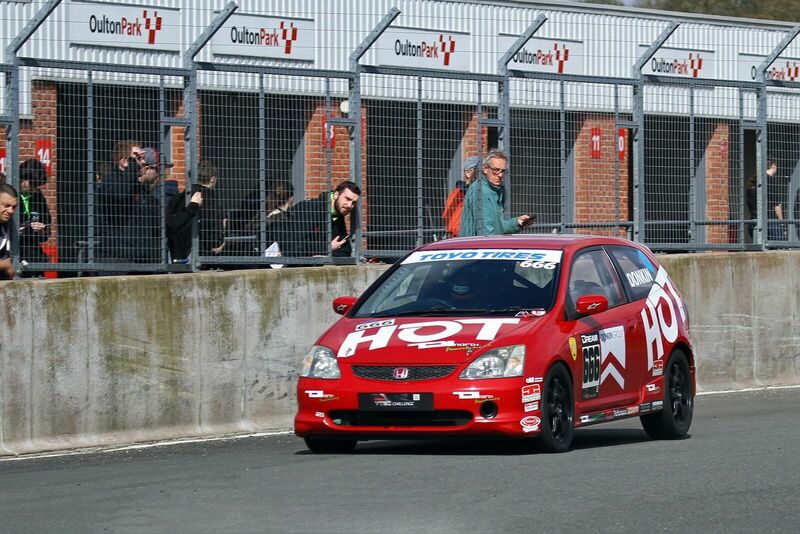 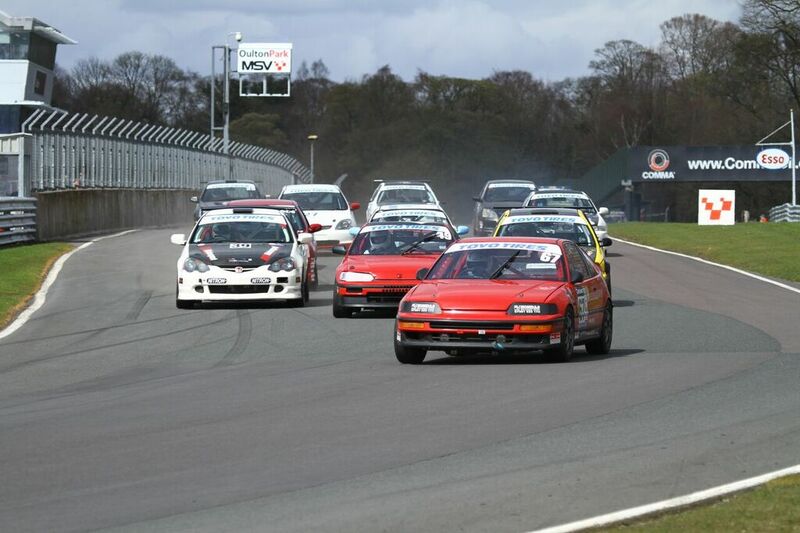 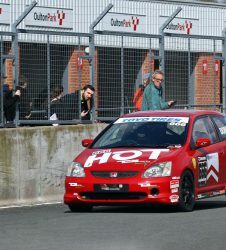 The Honda VTEC Challenge heads to Silverstone on 8th May, be great to see you there.